Having started the week on a foodie theme, I thought I’d continue. It is harvest time after all, and rain has stopped play in the garden. 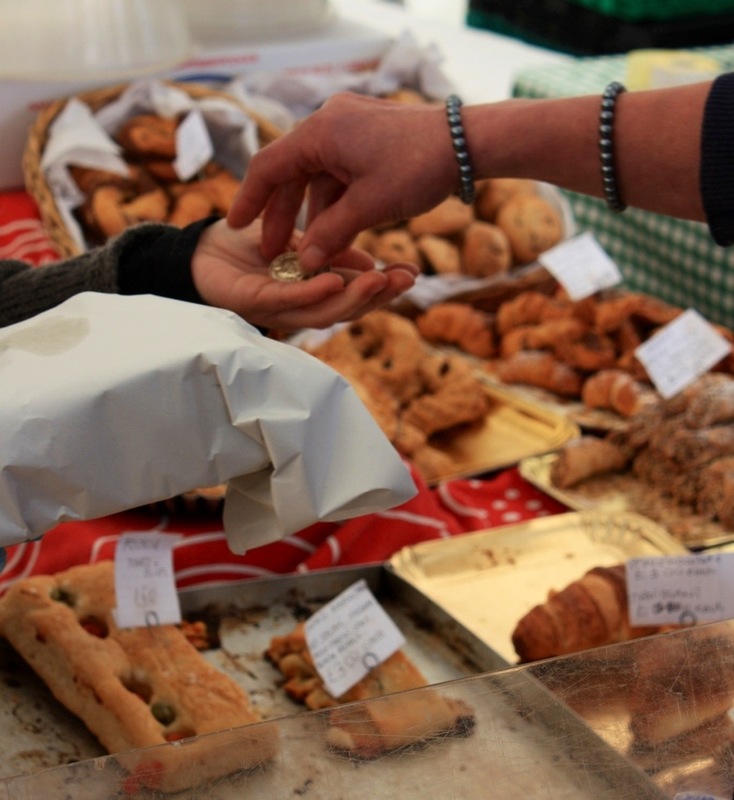 Last weekend saw the fourth annual Broadstairs Food Festival, just 2 minutes walk from our seaside home. What started as a small local affair has grown rapidly into an event of regional significance. This is a testament to the organisers who have established a superb event during a time of austerity, appealing to a consumer that’s increasingly concerned about provenance and originality as well as price. Although we love Broadstairs, Thanet is not the most affluent area, so it takes people with real dedication to make events like this a success. It’s become such an attraction for us that we organise our work and social committments around it, and friends compete to come and stay whilst it’s on. This year we had a fantastically debauched weekend with our friends Rachel and Simon, eating and drinking until we were full and merry. Of course entirely justified because everything was locally produced. 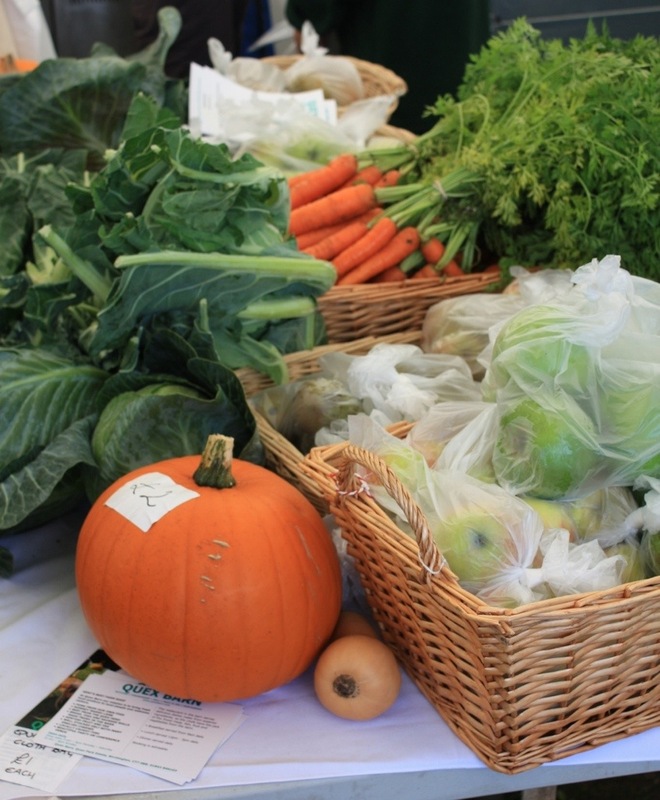 There’s a great mix of Kentish businesses represented, from nearby Quex Farm to the enormous, high tech tomato, cucumber and pepper grower that is Thanet Earth. We look forward to stocking the freezer from Godmersham Game, this year with wood pigeon breasts which make a fantastic dinner party starter. Those fat birds that vacuum up all the seed in the garden have to be good for something! The live kitchen can be a bit hit-and-miss, but we’re ever forgiving as the presenters are talented locals rather than celebrity chefs, and they do a great job. We enjoyed hearing about curing meat and fish from the chefs at The Minnis in Birchington, a restaurant we haven’t visited, although it’s on our list to try now. 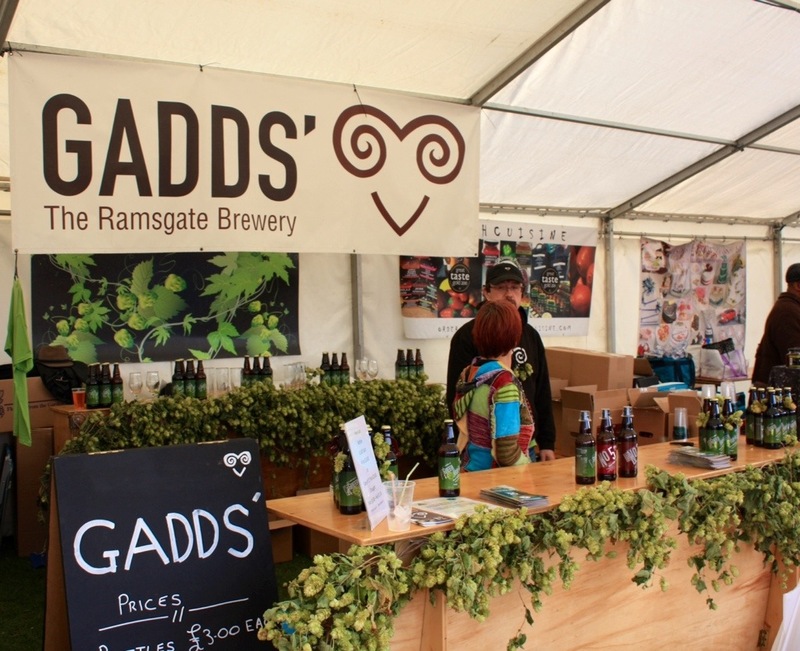 I am a bit of a real ale fan, although not a connoisseur by any means, so anything produced by Gadds Brewery in Ramsgate is a hit for me. The ale of the moment is Green Hop Ale, a light, refreshing brew with a gentle bitterness, presumably a consequence of the greenness of the hops. What’s extra satisfying is knowing that the ingredients (East Kent Goldings) have come from just down the road and the brewery is in the neighbouring town. For an elderly seaside resort, Broadstairs is an amazingly vibrant place with well organised events all through the year. 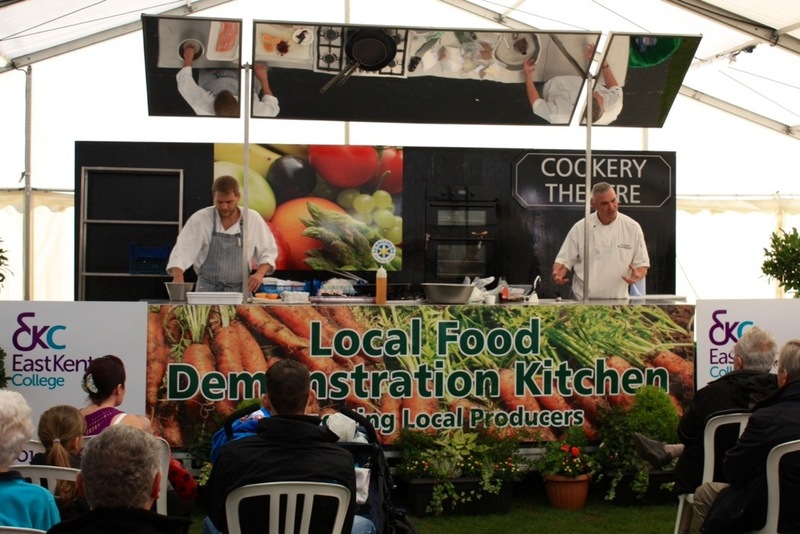 However, for us, the Food Festival is the best of them all….and not just because it involves eating and drinking, but because it puts money in the tills of our talented local producers.